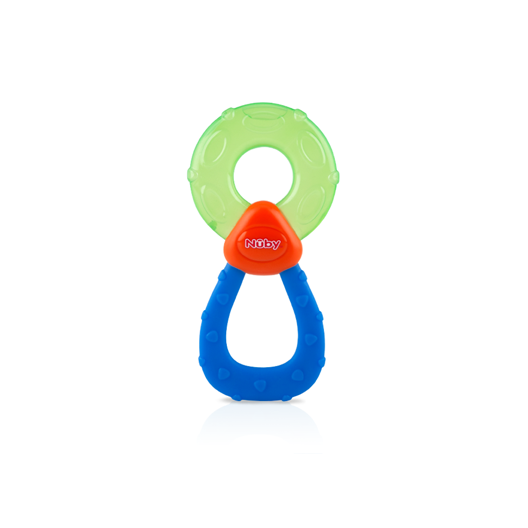 The koolSoother™ teether by Nûby™ provides a cool, textured surface for baby to bite and teethe on during teething periods. The cool, resilient surface soothes and stimulates sore gums safely. Engineered with raised, offset surfaces, the kool Soother™ teether assists in the eruption of teeth by gently massaging infant’s gums. 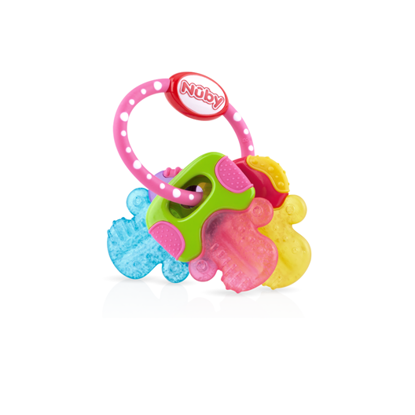 Colorful shapes are easy for baby to hold and sized for maximum effectiveness as a teether and soother. 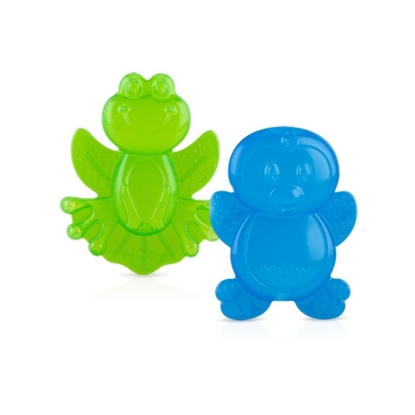 All Nûby™ water-filled soothers use purified distilled water.